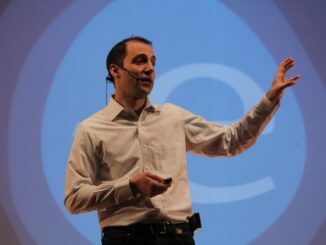 Blue Origin officials said in recent months that ground crews were readying the next model of the New Shepard single-stage rocket for its first test flight from the company’s sprawling test facility near Van Horn, Texas, east of El Paso, targeting a suborbital launch by the end of this year. 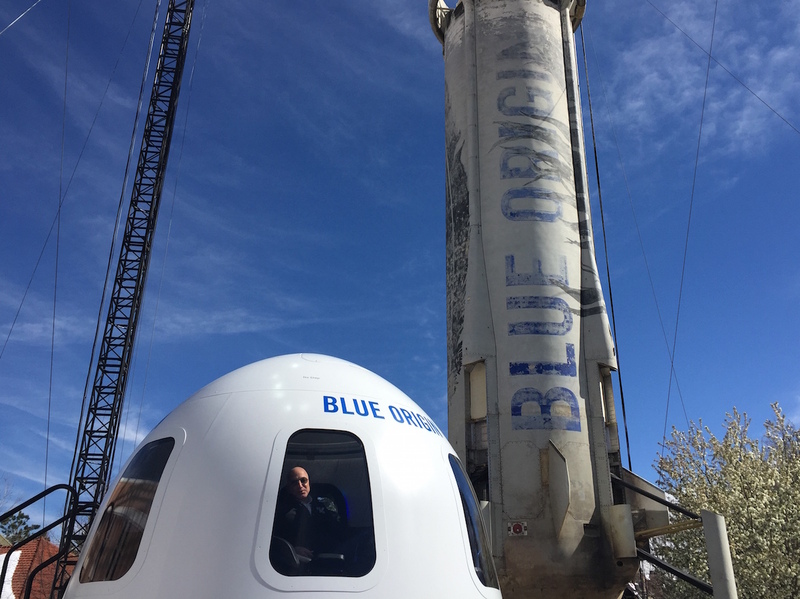 A Notice to Airmen, or NOTAM, released Saturday covering Blue Origin’s test site suggested the New Shepard flights may resume this week. The airspace over the commercial company’s remote desert launch base will be restricted due to “spaceflight operations” from Monday through Thursday, between 1430 and 2100 GMT (9:30 a.m.-4:00 p.m. EST; 8:30 a.m.-3:00 p.m. CST). A Blue Origin spokesperson confirmed the NOTAM was filed by the Bezos-backed company. The Kent, Washington-based company did not provide further details on the test flight plans. Blue Origin’s New Shepard booster, named for Mercury astronaut Alan Shepard and topped with a pressurized crew capsule, is under development to carry researchers and space tourists on short suborbital hops above an altitude of 62 miles (100 kilometers), the internationally-recognized boundary of space, also known as the Karman line. The capsule has already accommodated automated research experiments, without a crew on-board, on earlier suborbital test flights. The upcoming flight will debut the third New Shepard vehicle built by Blue Origin. 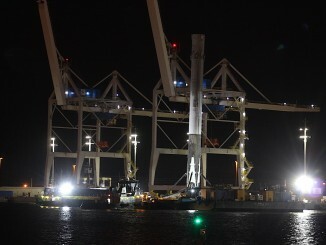 The first rocket was lost on descent after a successful blastoff in April 2015, and the second booster launched and landed successfully five times. 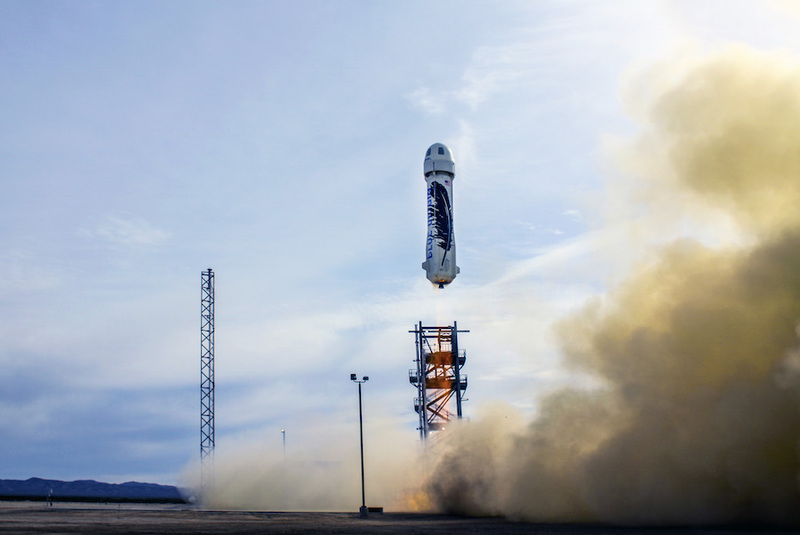 Blue Origin retired the second vehicle after testing the spacecraft’s launch abort capability in October 2016, demonstrating the maneuvers needed to whisk the capsule and its occupants safely away from failing rocket. The company sent the rocket and a mock-up crew capsule to display at several aerospace conferences and conventions, including the Space Symposium in Colorado Springs in April and the Experimental Aircraft Association’s AirVenture airshow in Oshkosh, Wisconsin, in July. The third New Shepard vehicle will move Blue Origin closer to launching people into space, perhaps as soon as late next year. The crew capsule will eventually be able to carry six passengers beyond the Karman line. The new capsule also has seats as Blue Origin experiments with the passenger accommodations inside the spacecraft. “On the booster itself, we’ve incorporated a lot of things that will allow us to enable operational reuse,” Mowry said at Euroconsult’s World Satellite Business Week conference in Paris in September. “There are a lot of features to that vehicle, where for instance we have panels, and you want to be able to get in and access through these panels to be able to service the vehicle in between flights. With the third vehicle, Blue Origin engineers are also “trying to improve on thermal protection and other elements of it to make it so the system is operationally reusable,” he said. The New Shepard is powered by a BE-3 main engine consuming a mixture of liquid hydrogen and liquid oxygen propellants, generating about 110,000 pounds of thrust at full throttle. The engine burned for nearly two-and-a-half minutes on New Shepard test flights last year, powering the booster on a trajectory nearly straight up from the West Texas launch pad. The crew capsule detached from the booster a few moments later, and both vehicles coasted to maximum altitude in the rarefied upper atmosphere, above most of the effects of aerodynamic forces. 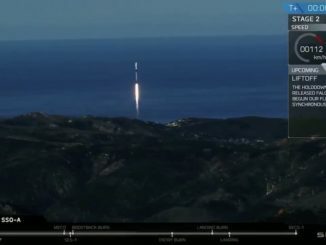 The descending rocket deployed a drag brake to slow its fall, then reignited the BE-3 engine — which can be throttled down to a fraction of its full power level — and extended landing legs for touchdown on a concrete pad. The capsule descended to the desert surface under parachutes, and technicians refurbished the vehicles for reuse. A similar launch and landing profile is expected to be followed by the third New Shepard vehicle, but engineers aim to reduce the time needed to ready the rocket and capsule for a re-flight. Blue Origin provided an online live video stream of the last two New Shepard flights in June and October last year, but the company has not indicated it will offer a live webcast of this week’s test launch. A bigger multi-stage rocket named the New Glenn is planned for launch by 2020 from Cape Canaveral. Blue Origin is designing the larger launcher to carry satellites into orbit, and eventually people.